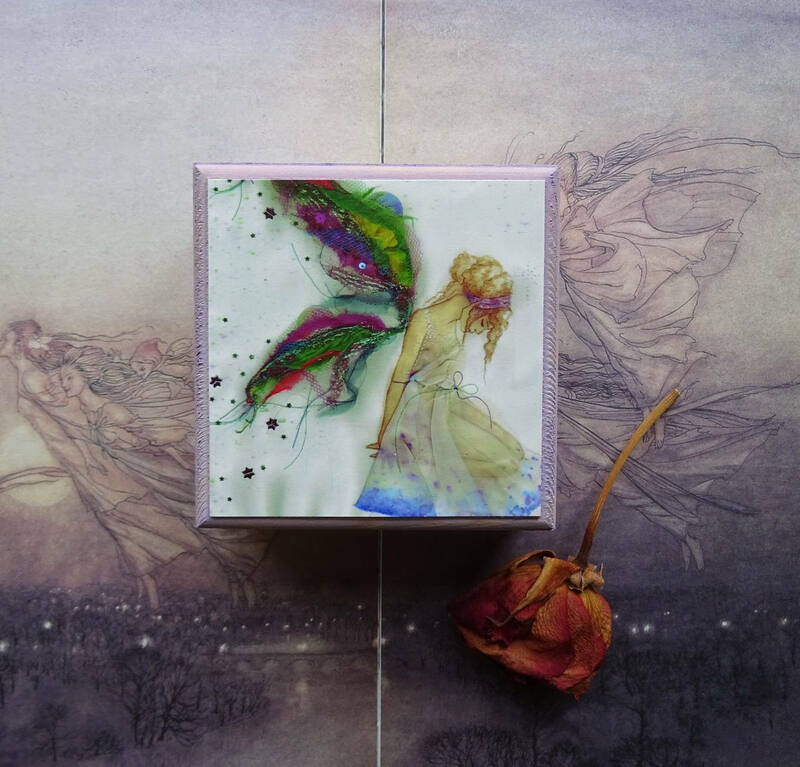 This lovely Box has been hand painted by me and then I have carefully mounted a print of my 'Fabric faerie' artwork onto the front of the box,I then give the print a coat of satin varnish to protect it from wear & tear. 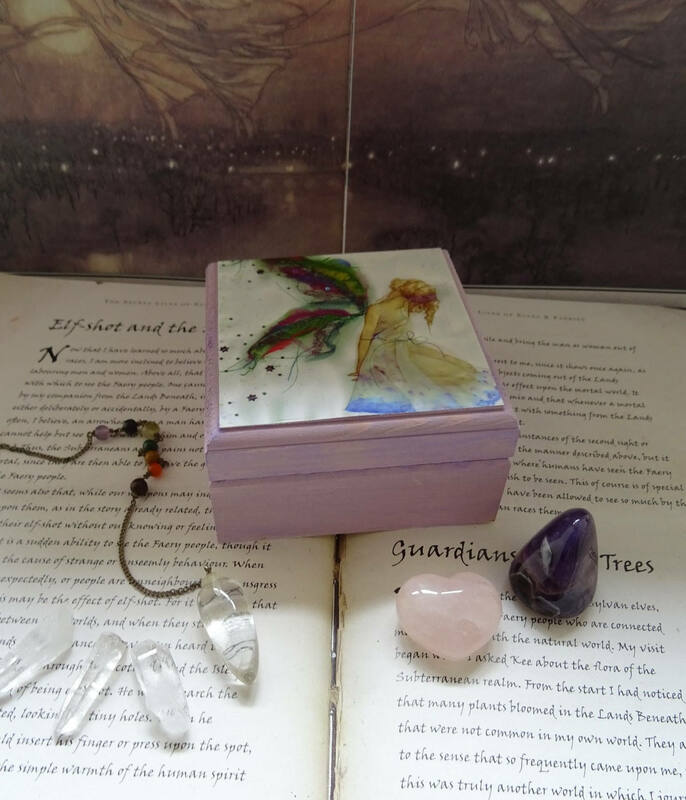 This is the most special, beautiful little fairy box! 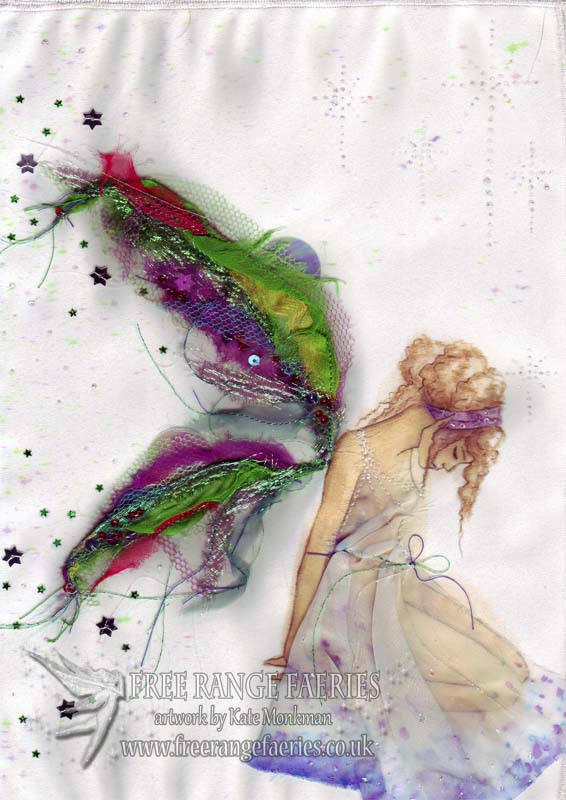 The art work fairy is just Gorgeous. I am so thrilled with this little piece of art. Very nice size and exquisitely done. Shipping was fast and well packaged. 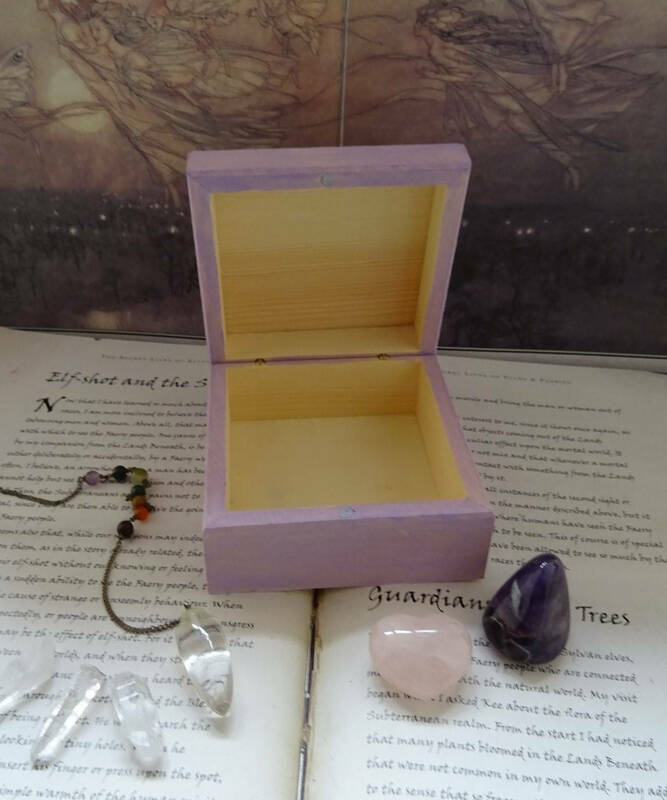 I highly recommend this shop and you will be in awe of the beautiful work! Thank you!! 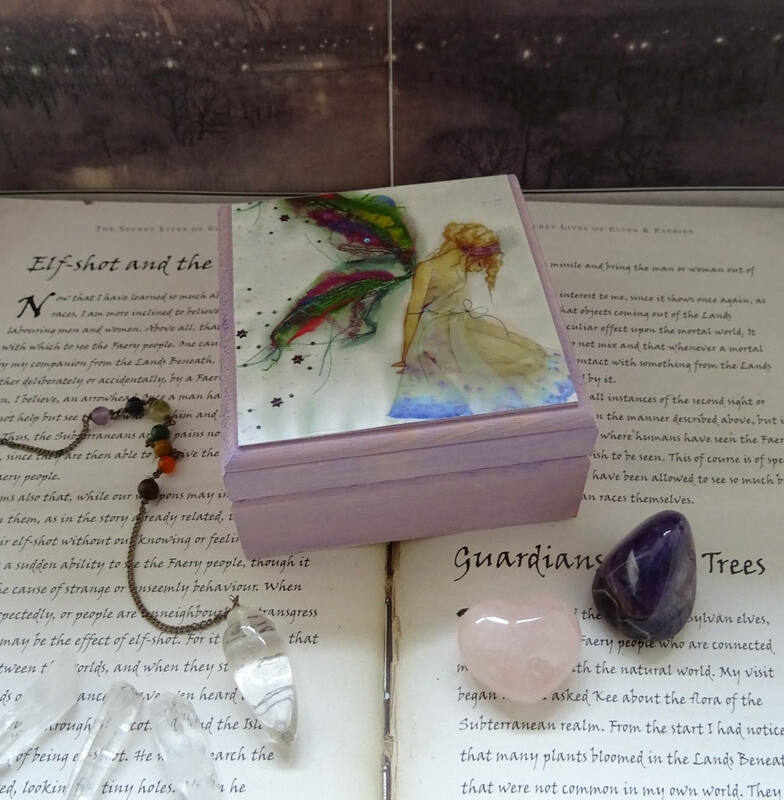 Gorgeous Jewellery box given as a Christening gift. Would recommend. Beautifully packaged and posted out super quickly. I'm absolutely delighted with these lovely little boxes.